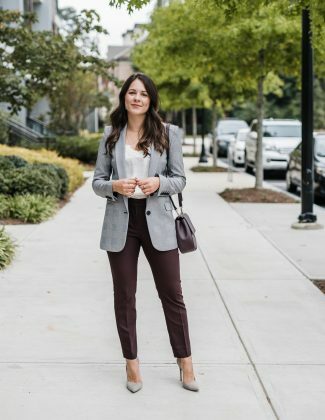 One of the posts I’ve been wanting to share is deconstructing your suit. I had TONS of suits back in the day and never thought to extend my closet and make the most out of them. Fast forward many years and I don’t really NEED them but I have a few for meetings and events. I wanted to pull this amazing one apart and share several ways to wear it. But first, let’s start with a great suit. When finding a great suit you always want to make sure it fits and feels great. 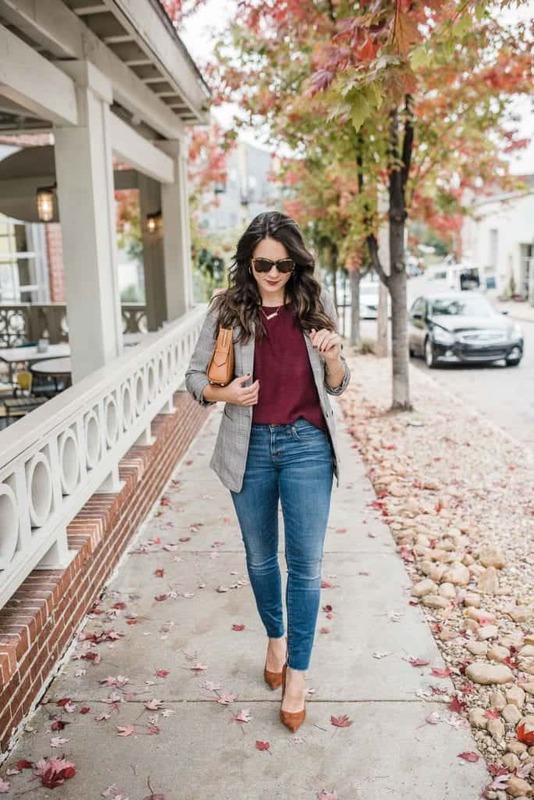 The shoulders of the blazer should line up with your own shoulders, not too small, not too wide. Pants should fit comfortably so that you can sit down in them without them pulling. And you always want to tailor the hem of your pants so that they work with the shoes you normally wear with them. 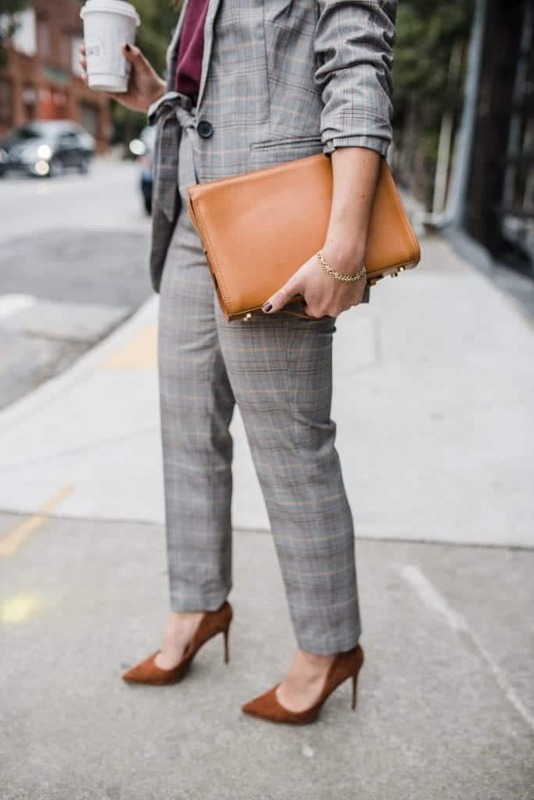 I used to buy two pairs of my favorite work pants back in the day because I’d want one for flats and one for my heels. 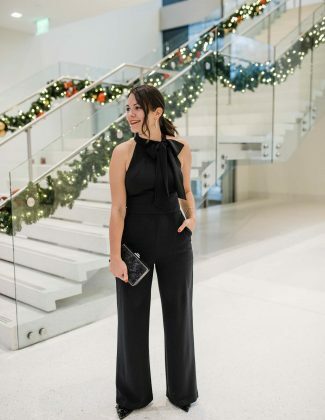 It was worth the extra money because it made getting dressed much easier when I knew my favorite pant could work with any shoe. Now that we own a great classic suit, let’s pull the pieces apart! This is my favorite thing to do with a great suit to dress down the parts into fresh outfits. Great for casual Friday, or for transforming your suit from desk to drinks on any given day. Sometime’s there’s nothing better than ripping off those work pants and putting jeans on instead. 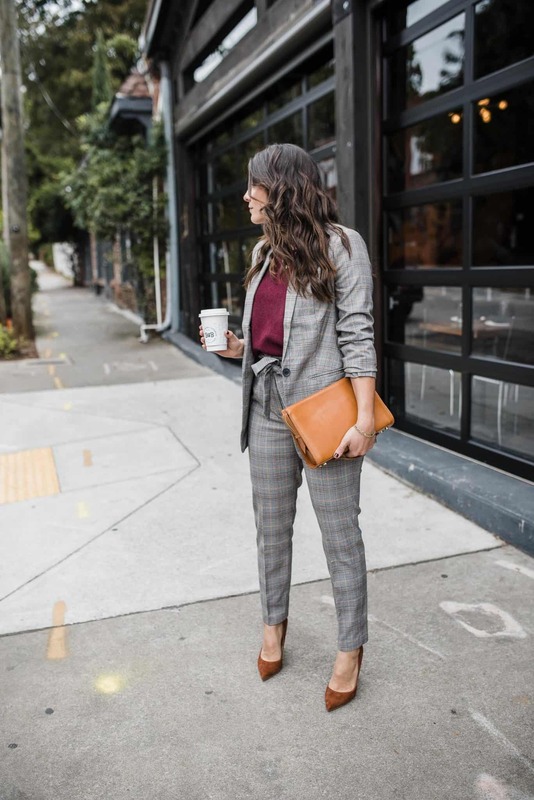 Beginning with the classic suit. Everyone should own one of these in their closet, period. Even someone like me who no longer needs to wear one to the office, it’s still a great piece to own. And today I’m going to prove to you why! I had TONS of suits back in the day when I worked for Norfolk Southern. It was a short-lived job, but I had to be in a full suit every single day. So my closet quickly grew to be full of suits and separates. I’ll be honest, I grew out of all of them. As in, I packed on the pounds, friends. So as I’ve gotten older, and honestly, the styles have changed too, I added a few new pieces to my closet recently. I picked up this great suit with a fun sash belt because it’s going to be super versatile for me. I wore this entire look to a business casual event a few weeks ago and it was great. It feels stylish, but also conservative enough for any office culture. 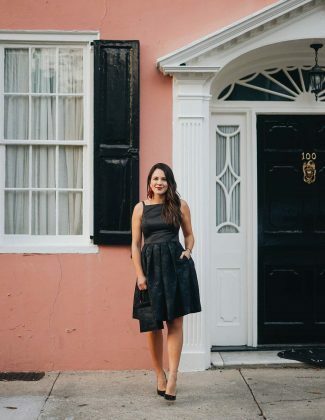 This is usually my go to look for feeling more dressed up in a pinch. It’s an effortless way to transform your favorite jeans and a sweater from every day to elevated. It’s classic, put together and you always feel stylish. You can see the full outfit post here. Usually when I have to meet someone for coffee and it’s a more business setting, this is what I gravitate towards. It’s the ideal casual friday look for the office as well if your office allows jeans. If they don’t, you can always do this with black jeans which is usually more acceptable! Or so I like to think I’m edgy and cool…. 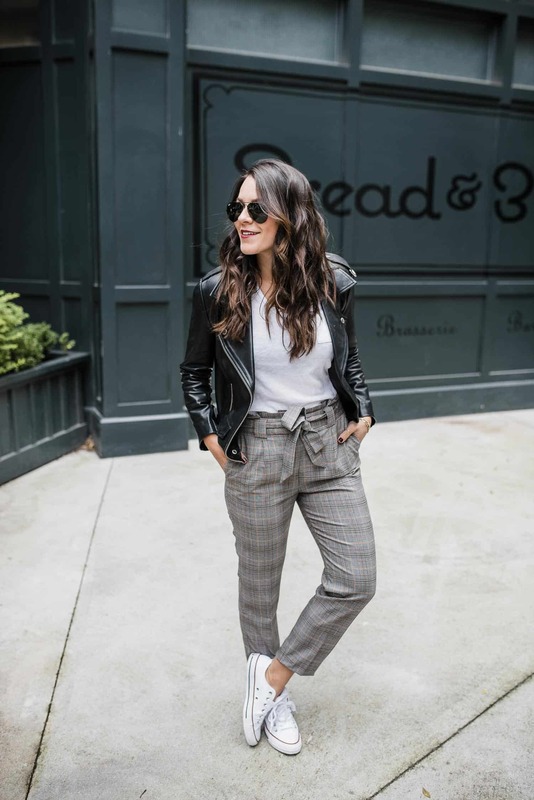 But honestly this is one of my favorite ways to style work pants for a more casual but cool girl look. I think these pants in particular work best with this look because they’ve got a lot more style to them with the belted detail. But this look can honestly work with any work pants you own. You just have to own it! You can see my tips on that here. 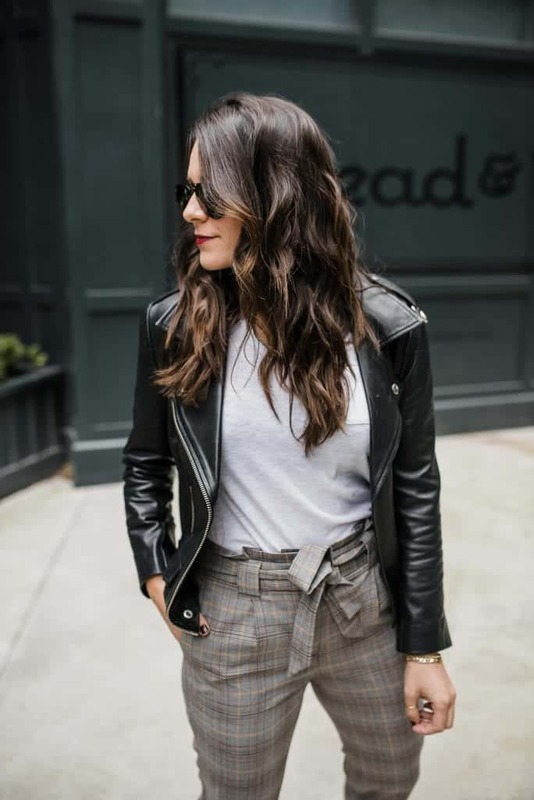 If you’re not a leather jacket and tee kind of person, you can also swap it out for a jean jacket for a dressed down version of this look. 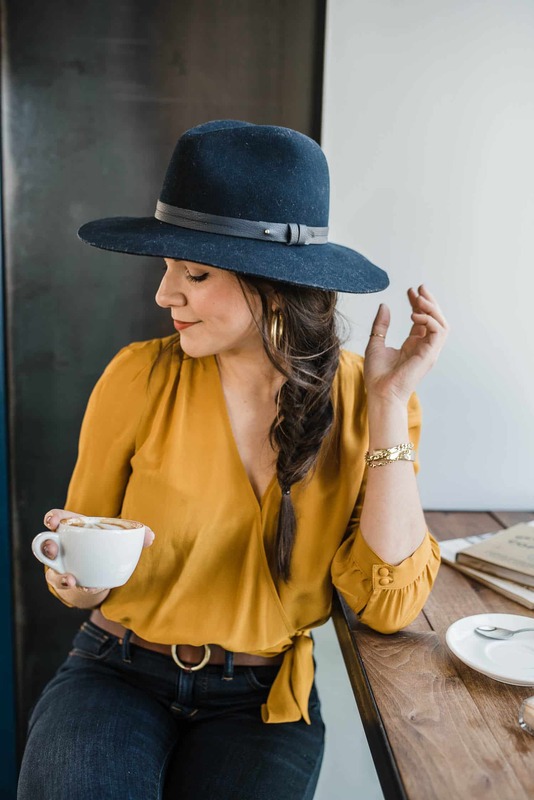 This outfit would be perfect for wearing to dinner with friends at a cool new spot in town. 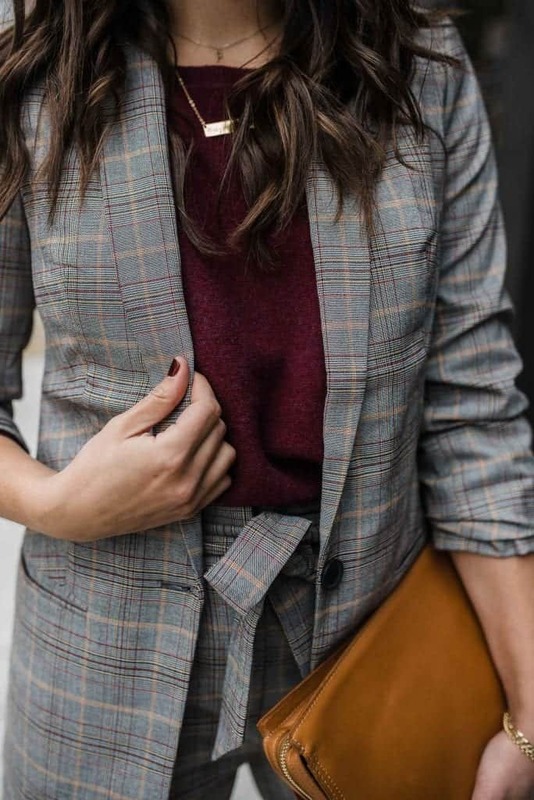 This to me is the ultimate way to dress down a suit and I’m super obsessed with it! Oh I adore this suit!